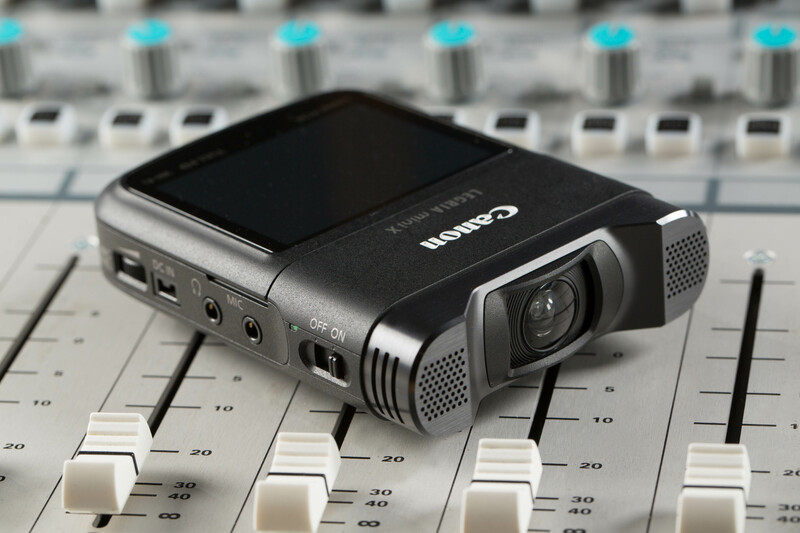 Canon has launched its smallest camcorder, designed for self-portraits, social media and streaming. The LEGRIA mini is around the size of a large webcam, but boosts a flip up LCD screen for framing and playback, as well as a number of features that would not be out of place on a semi-pro camera. 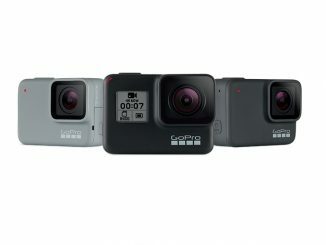 The LEGRIA mini is a full HD camcorder, recording MP4 files onto Micro SD cards – the same storage format used in action cams such as the GoPro Hero. But rather than go after the sports and action market, Canon is aiming its mini at hobbyists, people who want to share video on social networks or, as the press release says, “come out from behind the camera and participate in their videos”. The camera is not much bigger than its in-built, flip up LCD touch screen: the monitor measures 6.8cm (2.7 inches) across. The lens is below this, and is flanked by stereo microphones; the camera also has a built-in stand for tabletop use, as well as a tripod bush. The lens is a fixed focal-length, fixed focus unit, with an f2.8 aperture and an angle of view, for video, of 160 degrees. 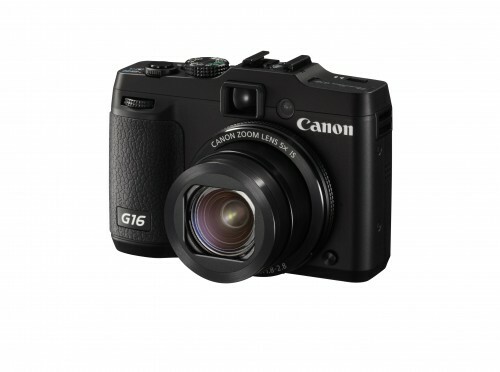 The sensor is a generously-sized 1/2.3, backside illuminated CMOS unit. Recording is at bitrates of up to 24mbps at 25p, but with slow and fast motion options: half speed at 720p, and quarter speed at VGA. The camera supports auto white balance, as well as presets for daylight and tungsten light. 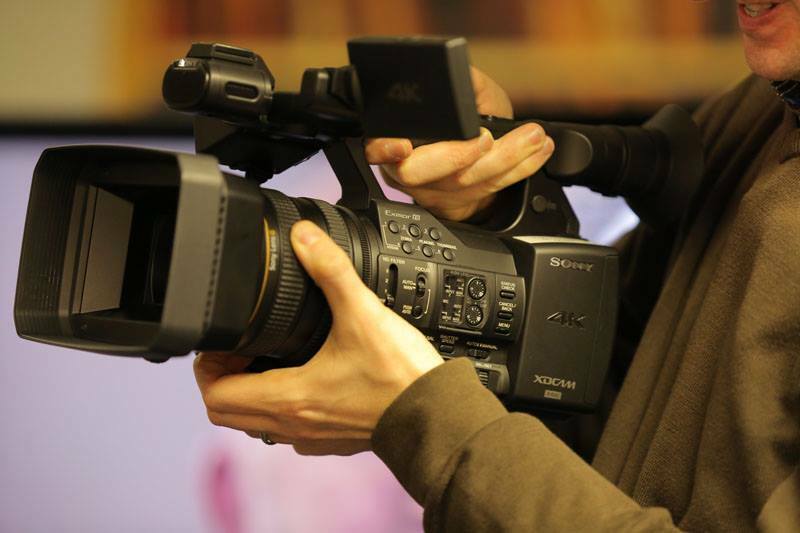 But the camera also has a number of other features which are unusual in a camera in this price bracket: it has an interval recording, or timelapse, mode and “video snapshots” which can be set to record for two, four, or eight seconds at each shutter press. A motion sensor means that the camera displays the image the correct way up, even if it is held upside down. In addition, the LEGRIA mini has built-in WiFi, supporting control via a tablet or smartphone, but also live streaming. This allows the camera to be used as a local webcam, or for filming inaccessible subjects, such as wildlife. Canon will start to sell the LEGRIA mini for £269 in September; the US version, known as the VIXIA mini, will sell for $299.